A balance game outside, a truck puzzle, some finger-painting and singing ‘Incy Wincy Spider’. It might sound like a spot of fun, but play is regarded as the best way to stimulate developing brains and encourage early learning in very young children[LU1] . There is significant research on the importance of play-based learning[LU2] . The ‘Early Years Learning Framework’, which guides the work of educators in the early years, defines play-based learning as a key way for children to make sense of their world and engage with people and things. PC Playtime is a playgroup for families and boys and girls aged from infancy to three years. It was introduced as a trial at Perth College in 2018 and was so successful it will continue in 2019. We recognise that growth, development and learning begins from the moment a child is born. What does a PC Playtime session look like? Children in a PC Playtime session engage in developmentally-appropriate play experiences (both indoors and outside) facilitated by early childhood expert and Dean of Junior School, Katie Petchell. 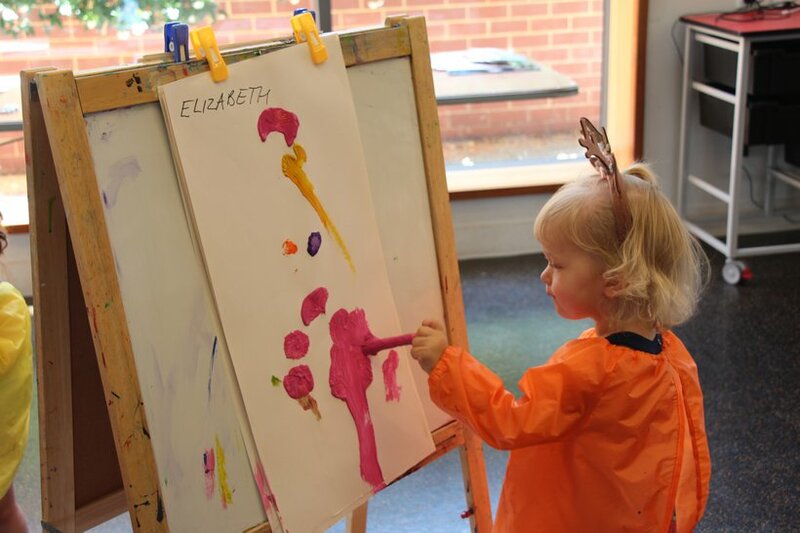 Painting, playdough, puzzles, books, games, songs and rhymes, mini obstacle courses, and sand and water play are just some of the activities children are able to choose from, promoting their own decision-making skills. Each term there are also special event days (Barnyard Buddies and Santa Claus visited in 2018). Ms Petchell says she takes her inspiration from the schools of Reggio Emilia in northern Italy. The approach is student-centred and focused on allowing children to make their own choices of exploration and discovery. “The learning environment reflects possibilities and provocations, igniting a child’s innate sense of curiosity and wonder,” she said. Ms Petchell says the planning of PC Playtime supports the belief that children are both competent and capable. PC Playtime is on from 9.00 am to 10.00 am on Wednesdays during the school term. A maximum of 20 places is available per term (a waitlist is available for families who miss out initially). It is open to all members of the community, not just Perth College families. Want to know more about PC Playtime? Contact Judy Parker, Enrolments Director, on 9741 2104, email enrolments@pc.wa.edu.au or register online.